Have slides of when you were a kid but no projector to play them on? Don’t panic! At Foto Factory in Bromsgrove, we can process your slide films for you and print photos of those special moments. Using the latest technology, we can print 35mm, 120mm and 220mm slide films. 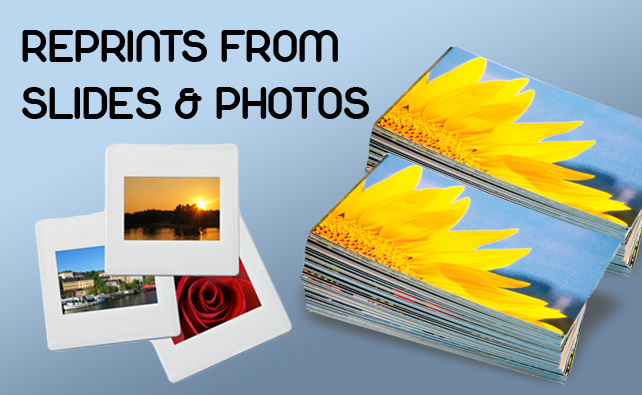 Prints from slides is not all we can do, we also offer a professional photo scanning service which allows to reprint photos and share your favourite moments all over again! And, you can back them up onto DVD so you can print more whenever you need to. Why not, let us print your favourite snaps onto photo gifts such as photo mugs, photo cushions or personalised keyrings.